The Biomeme platform went west last week. 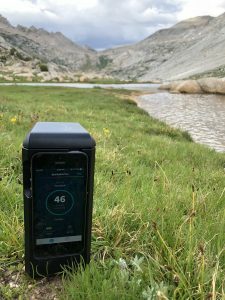 Our own Sepideh “Sepi” Naderi joined researcher Colleen Kamaroff’s team to test out the Biomeme platform’s performance as an eDNA detection system for the fungus Batrachochytrium dendrobatidis, or Bd for short. 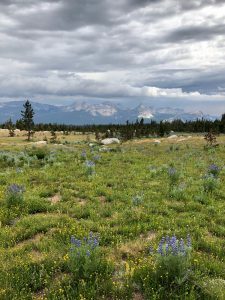 We took the time to interview Sepi about her trip to Yosemite National Park. Q: Who were you there with? This project was done in collaboration with Colleen Kamaroff. 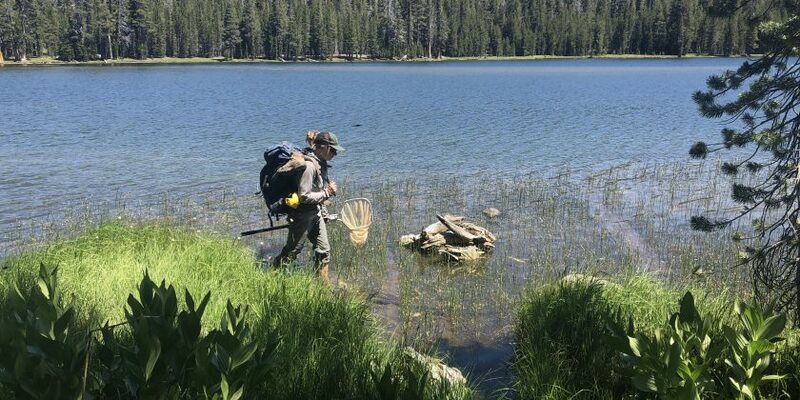 She is a wildlife biologist for Yosemite National park. We also worked with Caren Goldberg, she is the expert in eDNA and has written papers with Colleen. I believe Caren is Colleen’s research collaborator and mentor. The first day was just a day hike to Dog’s Lake. Caren wanted to get familiarized with how Biomeme’s products work from beginning to end. We were using Biomeme platform for detection of Batrachochytrium dendrobatidis using eDNA. We wanted to see if it is possible to detect Bd via eDNA. Q: Did anything funny happen? My thinking that a bear was attacking my tent, was funny. On the second night, after we hiked about 11 miles to get to the location we wanted, we set up camp and had dinner. Afterward, everyone went to sleep since we were going to have an early start the next morning. That night, I had a hard time sleeping so I was half awake most of the night. Halfway through the night I suddenly heard noises coming toward the side of my tent. I thought that it was a bear because I couldn’t hear any other people around. I got super scared and went to the corner of my tent. I waited there with my flashlight shining, waiting for the “bear” to open my tent. I looked out and my flashlight caught a shadow that wasn’t a bear, it was one of the park’s workers. The workers were camping close by, and one of them was just looking for a spot to go pee. The hike was BEAUTIFULLLL and challenging. My favorite part was seeing Biomeme come to life. You can sit at your desk and design an assay or make an app or even build a device but you wouldn’t truly understand the value of Biomeme’s platform. Not until you are out in the field and use the products and see those amplification plots coming up as you get a positive result. It was truly breathtaking knowing that you can change the way research will be done.